The transmitter and receiver modules both rely on a single wire for communication. Though using the UART supplied by the Arduino platform can work, it is recommended, instead, to use the VirtualWire library which uses Amplitude Shift Keying for modulation which provides better communication. 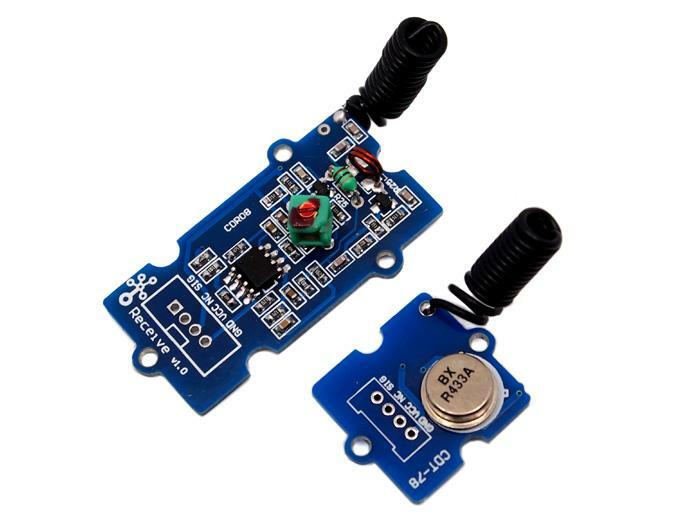 Both the transmitter and receiver modules require three wires: Vcc, Ground, and signal. Pin 2 of both parts of the kit are not connected. Connect the Transmitter module to Digital I/O 2 of the Grove-Base Shield V2 on the Arduino being used for transmission. Connect the Receiver module to Digital I/O 2 of the Grove-Base Shield V2 on the receiving Arduino. Download the VirtualWire library and unzip it into the libraries file of Arduino IDE by the path: ..\arduino-1.0\libraries. Please reference here. vw_send((uint8_t *)msg, strlen(msg));  // Send 'hello' every 400ms. //connect the receive module to D2 to use ..
vw_set_rx_pin(RF_RX_PIN);  // Setup receive pin. 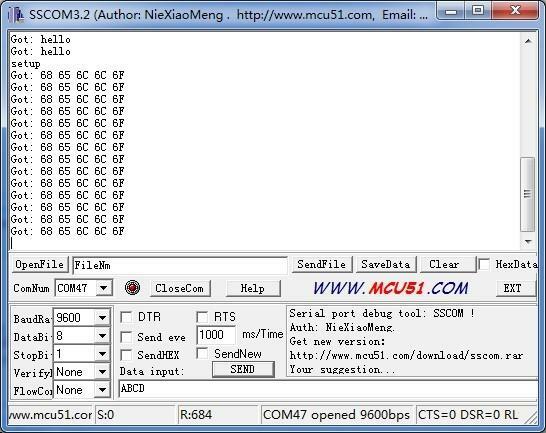 Open the serial monitor of receiver module to see the result. This is just a simple transmitter and receiver instance as a reference.